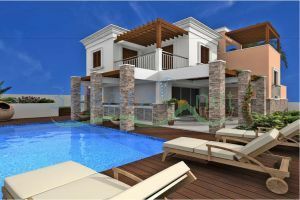 This exclusive development in Peyia, Paphos is the epitome of luxurious Mediterranean living and combines refinement with the very latest in modern amenities. 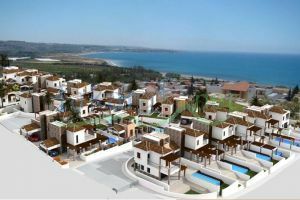 Overlooking the picturesque marina, the image that will greet you every morning is as perfect as a water-colour canvas. 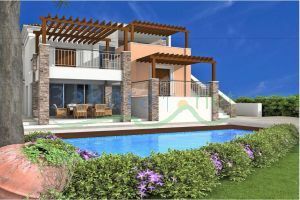 Each of the 20 stunning villas is enhanced by a sea view, lush gardens, pergolas, spacious verandas and a private swimming pool for the ultimate in good living, but the beauty of these villas is not just in their privileged location and leisure facilities... With a combination of wood and stone, they are architecturally impressive whilst offering a timeless aesthetic. 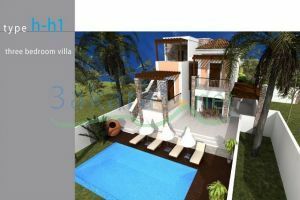 Taking a step inside, the highest quality materials and the latest technology come together for your comfort and pleasure with every detail and finish carefully selected. 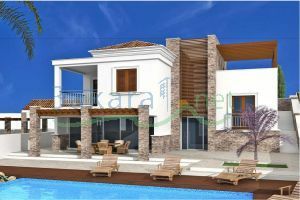 The superb location of Marina III Exclusive Beach Villas provides the best of both worlds; a serene and relaxed level of living on your doorstep, but everything you require just moments away in the famous Coral Bay area, or the vibrant town of Paphos. 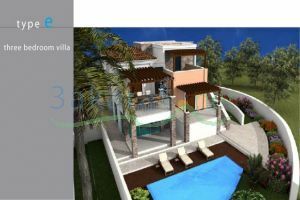 Type A: Sea View Villa, 3 Bedrooms, 3 Bathrooms, Verandas – pergolas on 1st floor, Verandas – pergolas on gr. 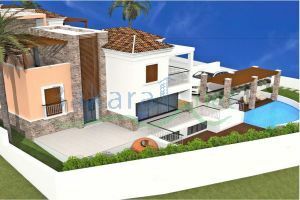 floor, Roof garden, Large Pool, Pool Bar, Barbeque, Covered Garage, Play area, Extensive garden area, Basement. 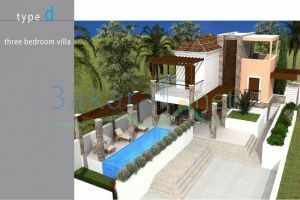 Type B: Three bedrooms villa: Sea View Villa 3 Bedrooms, 3 Bathrooms, Verandas – pergolas on 1st floor, Verandas – pergolas on gr. 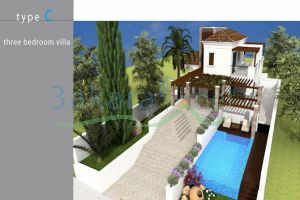 floor, Roof garden, Large Pool, Pool Bar, Barbeque, Uncovered Garage, Play area, Extensive garden area, Basement. 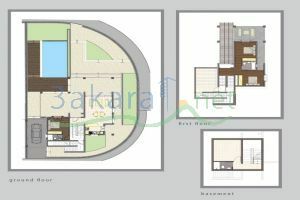 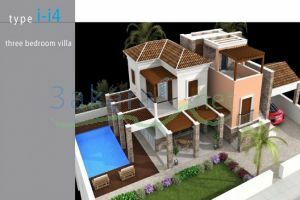 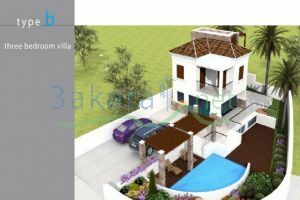 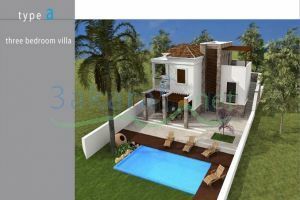 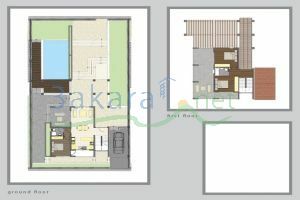 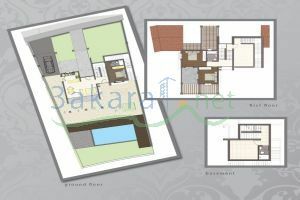 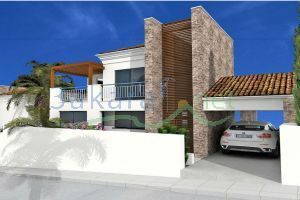 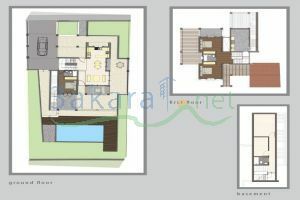 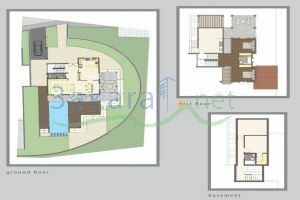 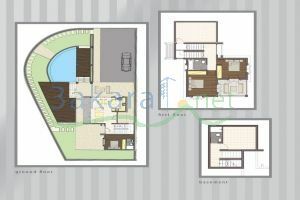 Type C, D, E, H-H1, I-I4, K-TH, Z: three bedrooms villa. 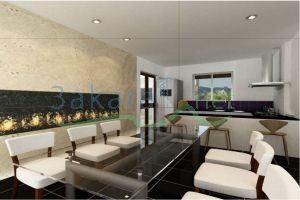 Prices starting 650,000$.